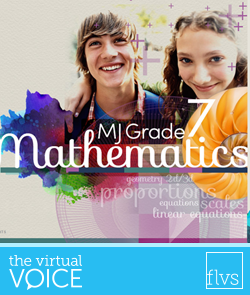 MJ Grade 7 Mathematics explores percentages in an engaging way. Students are invited to follow the storylines of three gamers who make video game purchases with store loyalty card discounts. 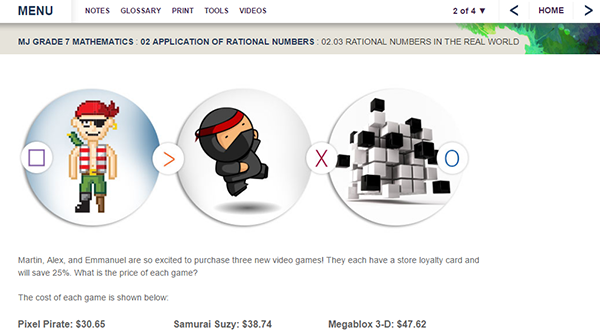 Learners must calculate total savings and determine which character saves the most as the gamers go shopping. Discounts can be misleading if you don’t pay attention to the fine print, and shopping is about as real world as it gets! 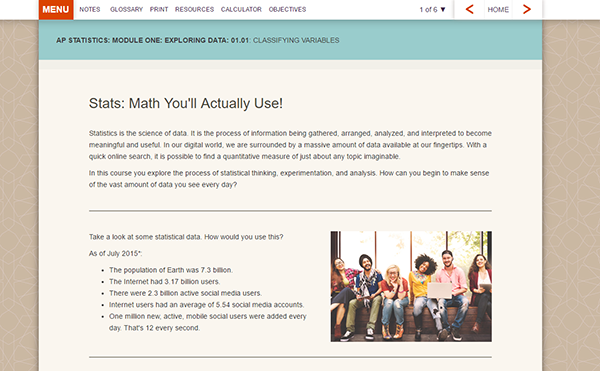 Algebra 1, as a graduation requirement for all Florida students, offers many authentic assessments, including one allowing students to play the role of a scientist who analyzes the life expectancy of women in the United States. 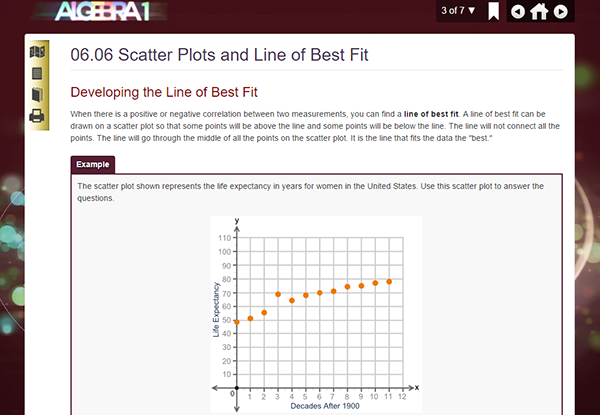 Data are displayed in a scatter plot with a line of best fit, and students use critical thinking skills to evaluate what they see and what it means. 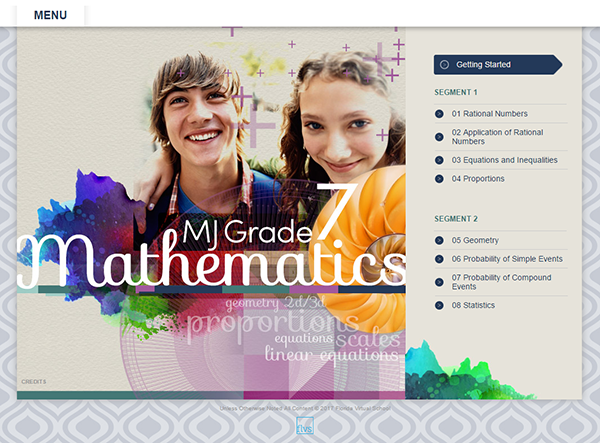 Students can use the information they have collected and analyzed to predict outcomes. That’s definitely Algebra for use in the real world! Making math calculations is just the first step. Good math courses teach you to examine the numbers and ask yourself more questions to help you make good life decisions. This lesson from AP Statistics helps students evaluate a job offer. We don’t want to spoil the answer for anyone who will be taking the course with us in the coming year, but let’s just say there’s more to this offer than meets the eye! Life is full of math. It faces you with time, with money, with claims you may hear in commercials or on the news, and with the myriad decisions you make just getting through each day. 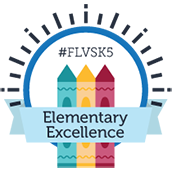 FLVS is all about making sure you can see the math in your world and helping you figure out how to use it on your path to success! 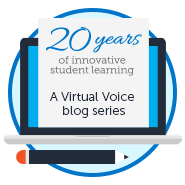 This entry was posted in Homeschool Edition, Student Edition and tagged Advanced Placement, Algebra 1, AP Courses, Assessments, Curriculum, Graduation Requirements, Math, Math Curriculum, Math Literacy, Mathematics, Real-World Learning, Statistics on April 21, 2017 by Guest Blogger.